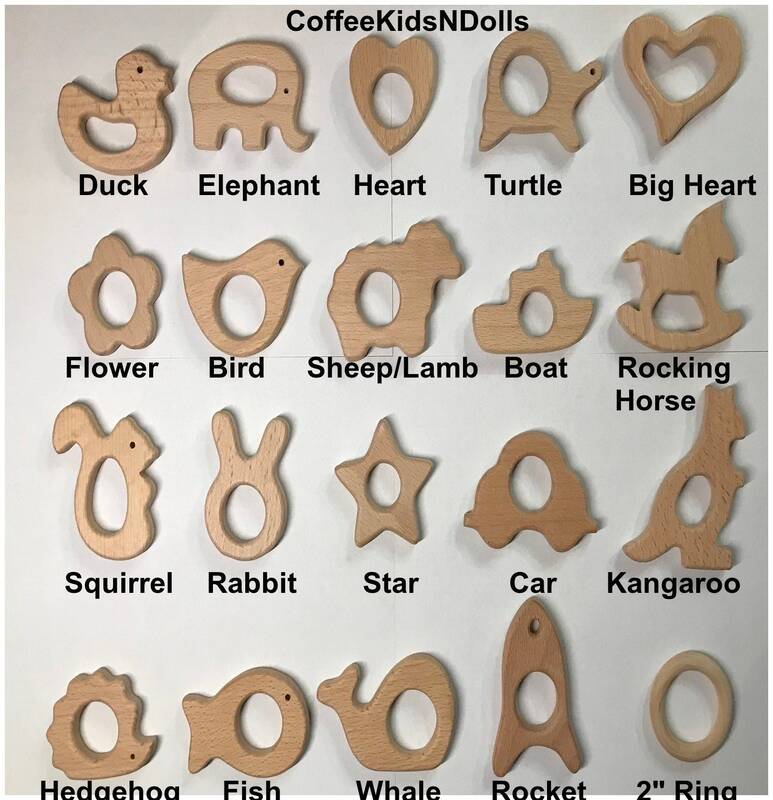 WOODEN SHAPES -- NOW WITH 5 NEW SHAPES ADDED!! 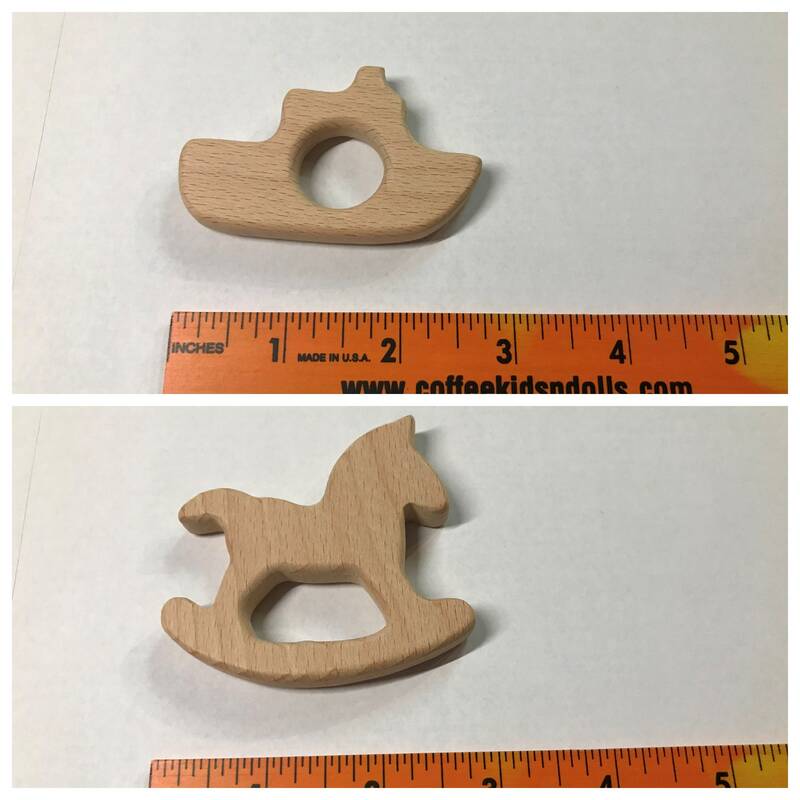 USE: This item can be used as a baby teether toy, art deco projects, key chain decorations, and more! 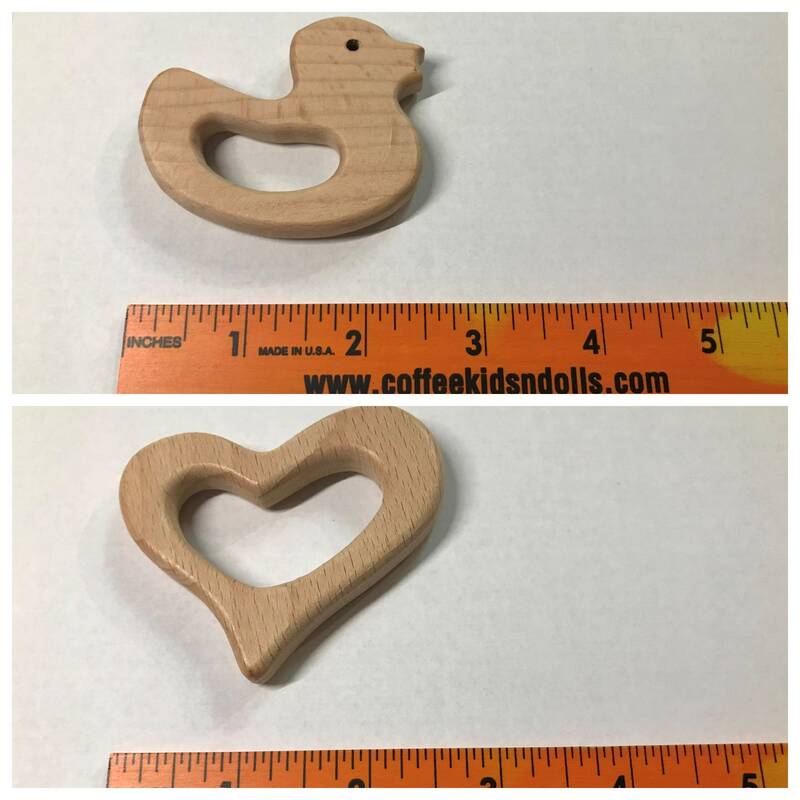 DIMENSIONS: Dimensions vary from 2 inches to 3 1/2 inches, depending upon the shape. 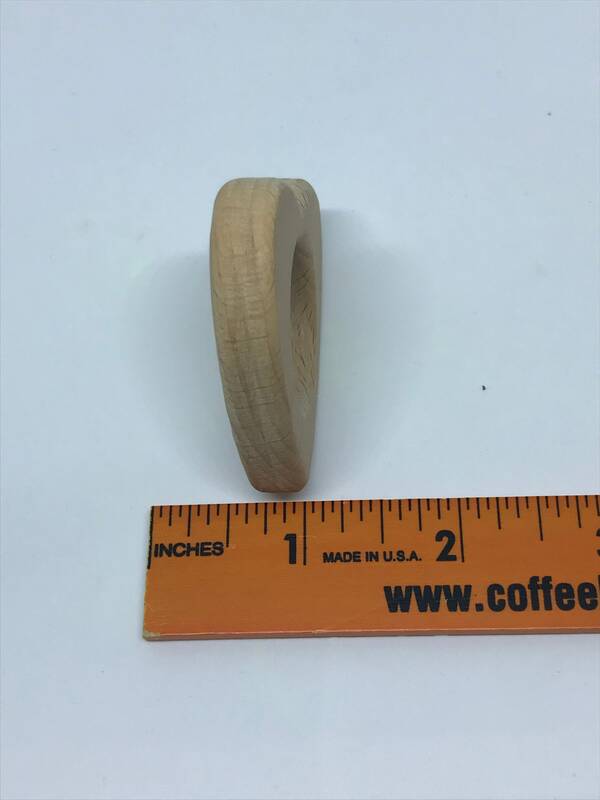 Shapes are approximately 1/4 inch thick. 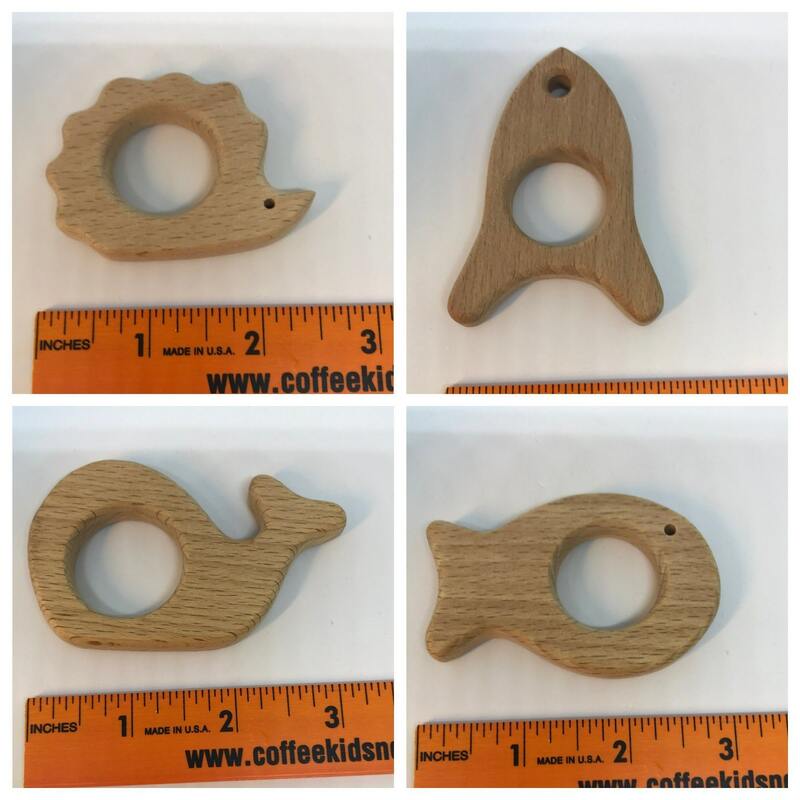 HOW TO USE: Use a baby link or ribbon to attach to toys, key chains, art pieces, etc. 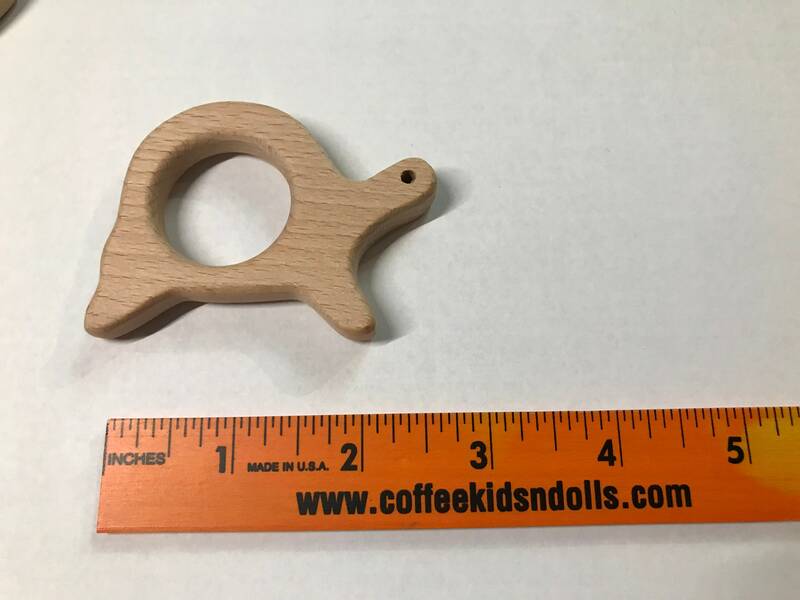 This item can also be used to loop through pacifier clip loops and used as a travel toy. 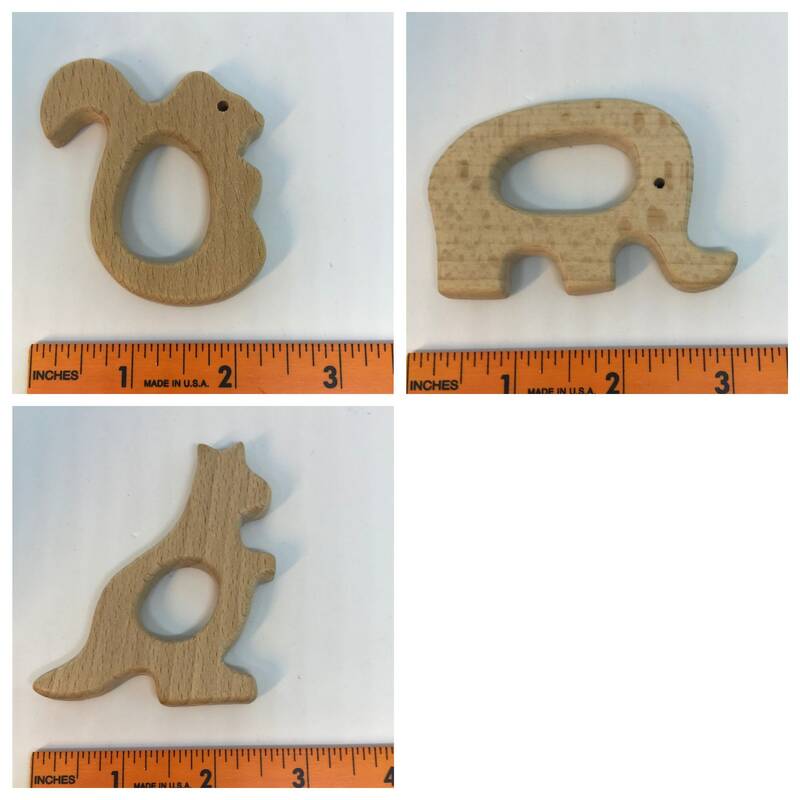 SAFETY: These items are made of hardwood that is eco friendly and bacteria resistant. 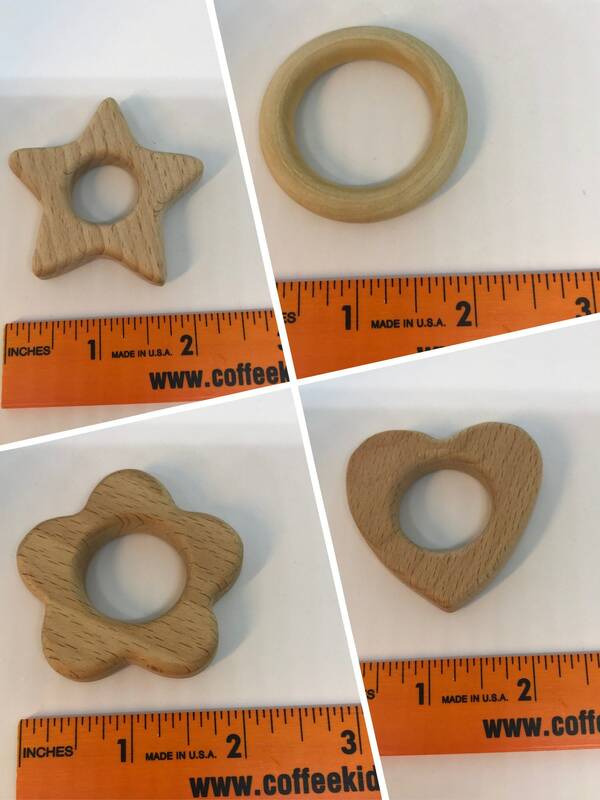 Two inch wood rings are made of cherry wood while all other shapes are made of beech wood. 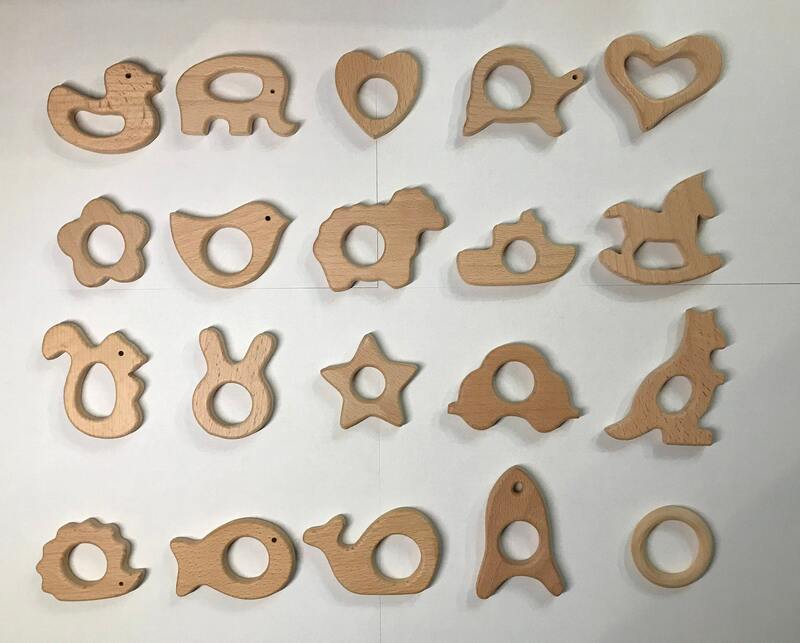 These items have no finish on them. 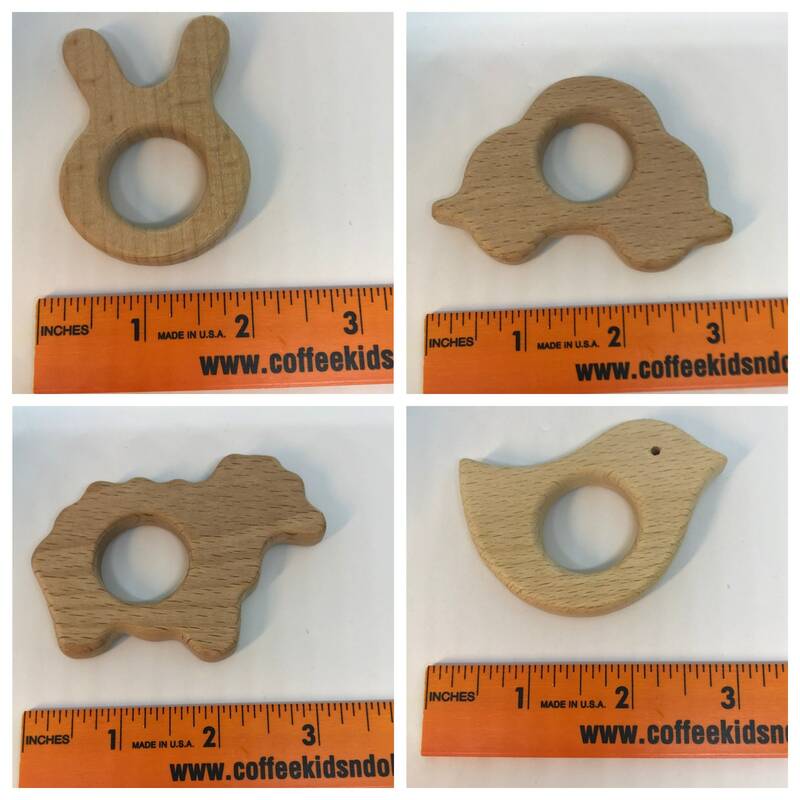 They can be used as is or coated in organic beeswax.